There is no better way to grow as a man and in your relationship with God than to get around other godly men for encouragement and accountability. Valor groups are designed to equip men with God’s Word so they can make a godly impact in their homes, workplaces, and schools. Through weekly teachings, lessons, and small groups, you'll grow in the knowledge of the Lord, experience fellowship with likeminded believers, and be equipped for the work God has called you to do. Groups will listen to a short time of teaching and then have a time of discussion, reviewing their insights from both the message and written studies. Starts Tuesday, October 2, 2018. 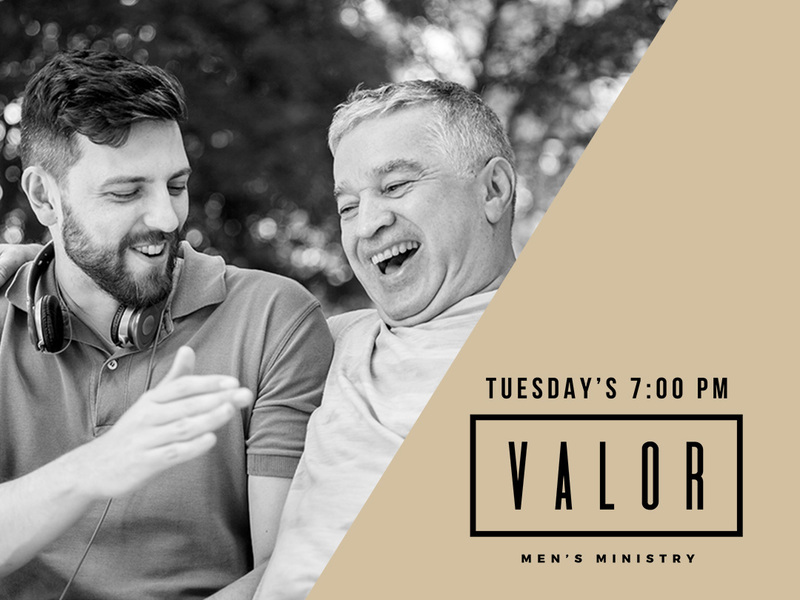 Please complete this form to register for the Valor Men’s Bible Study.